It’s been a while since my last blog post and that’s because the last few weeks have been a whirlwind, just nonstop. We’ve been busy. Really busy. It’s fantastic and exciting but also challenging to keep up with. I knew we were going to be busy after the Anniversary, but I’ll admit it surpassed my expectations. I just hired 2 more soft serve makers as we desperately need them when we go through product this quickly. I’ve had to make a bunch the last few weeks as well as other team members to keep up. I feel so much better knowing we’ve got more coverage once the new team members finish training. I also have some team members on vacation and other transitions I’ve had to deal with which has me filling in more at the store right now. I love being there, but with my full-time job and other Yoga-urt responsibilities, it’s exhausting. So I keep pushing through as I always do, but as a yogi, I know that I have to find more balance in my life so I will keep trying. There have also been so many highlights the last few weeks, starting with this awesome article that came out about me. 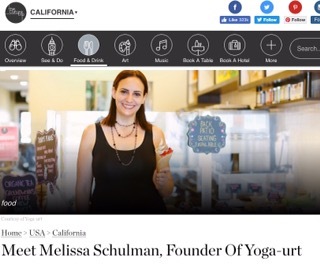 It is so cool – http://theculturetrip.com/north-america/usa/california/articles/meet-melissa-schulman-founder-of-yoga-urt/. I love sharing my story as I hope it inspires others and so I was really happy about this. – I always ask new customers how they heard about us. Recently, a few different groups of people said that they were driving by and saw a crowd out front and wanted to see what was happening or what this place was. How awesome is that! 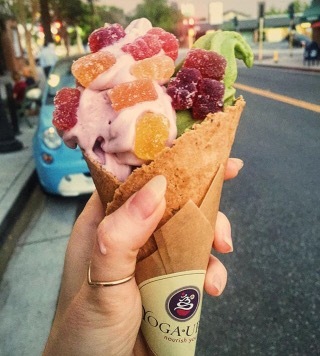 And all of these groups of people loved Yoga-urt and were so happy that they stopped. One family was from Brussels! – Everyone asks us for more stores. It’s so sweet but all I can say is that’s the plan, just have no idea when. 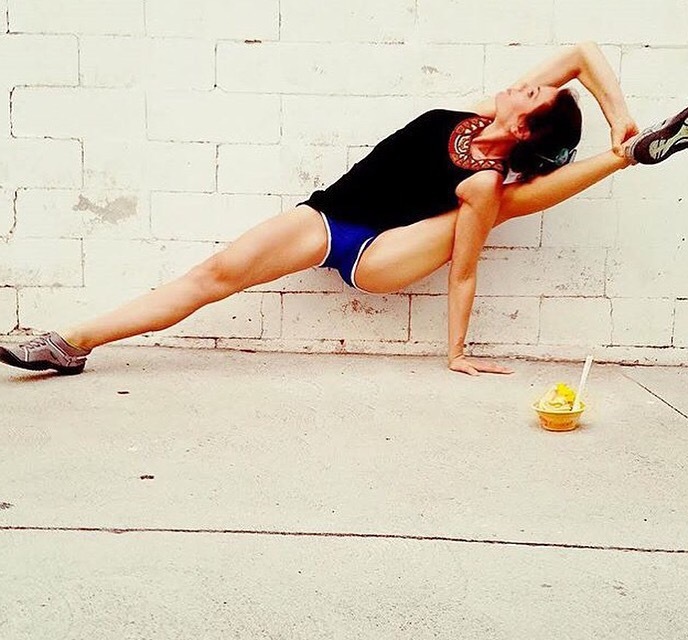 I’m so grateful that Yoga-urt continues to be received well and business is growing. It touches me so deeply and makes me incredibly happy. 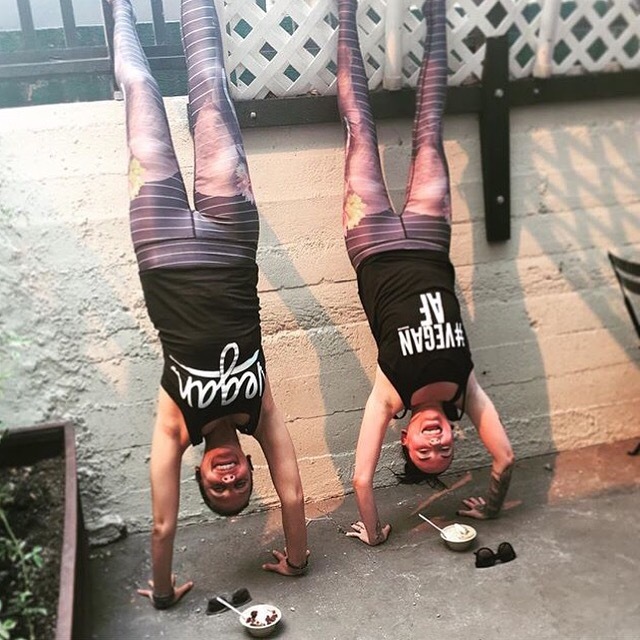 When I’m faced with challenges and exhaustion, I just think about all of the people that love Yoga-urt and that re-energizes me and keeps me going. 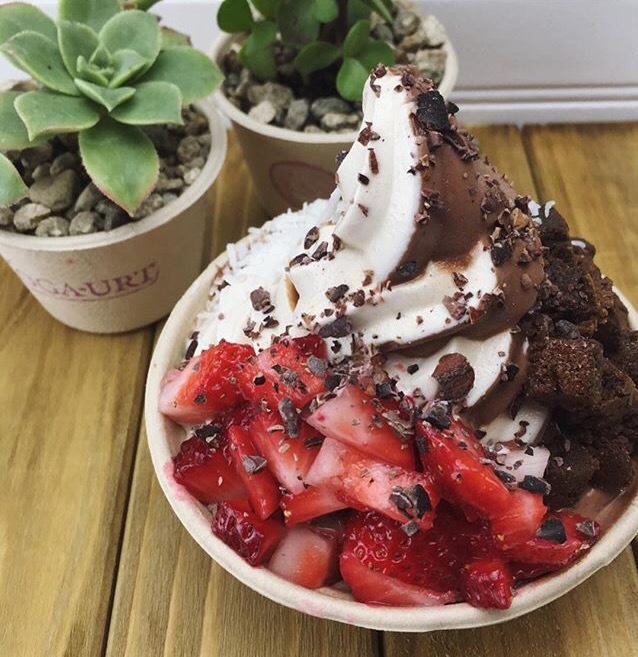 I will be at Yoga-urt a lot this next week too and we have some big events coming up over the next few weeks starting with next Sunday (more info coming soon). I will do my best to take care of myself through it all and appreciate all of the positive things!